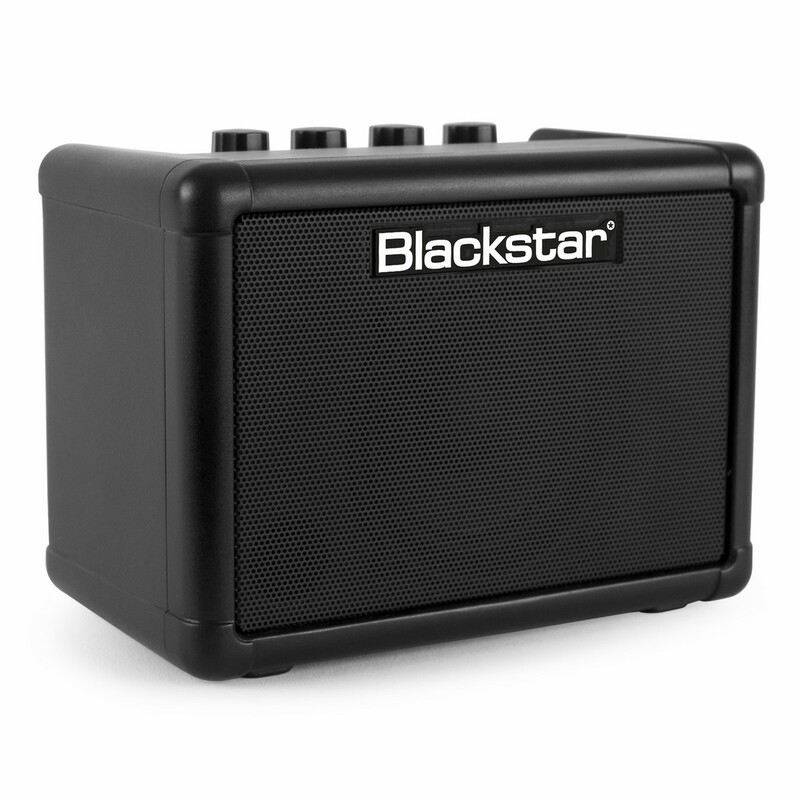 The Blackstar Fly Stereo Pack includes the Fly 3 mini amp, a Fly 103 extension cabinet and a power supply. Combined together, the Fly 3 and Fly 103 make a 6 Watt stereo amp for guitar or music playback - perfect for use with a computer, mobile phone or any other audio playback device. 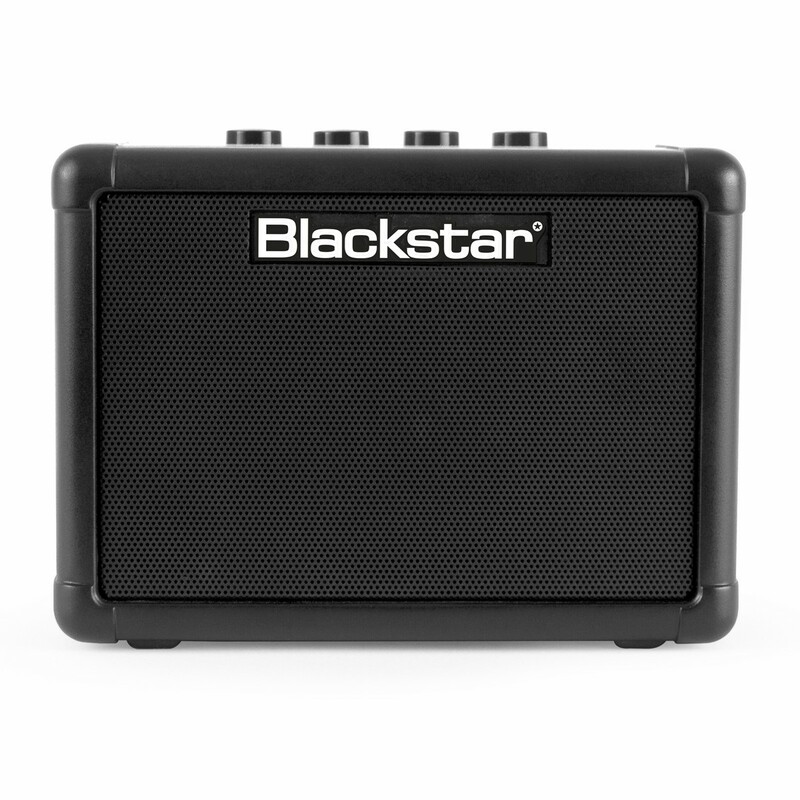 The Blackstar Fly 3 is a compact mini amp that combines two channels, Infinite Shape Feature (ISF) and a tape delay. The ISF is patented by Blackstar and gives you endless possibilities when it comes to shaping your tone. 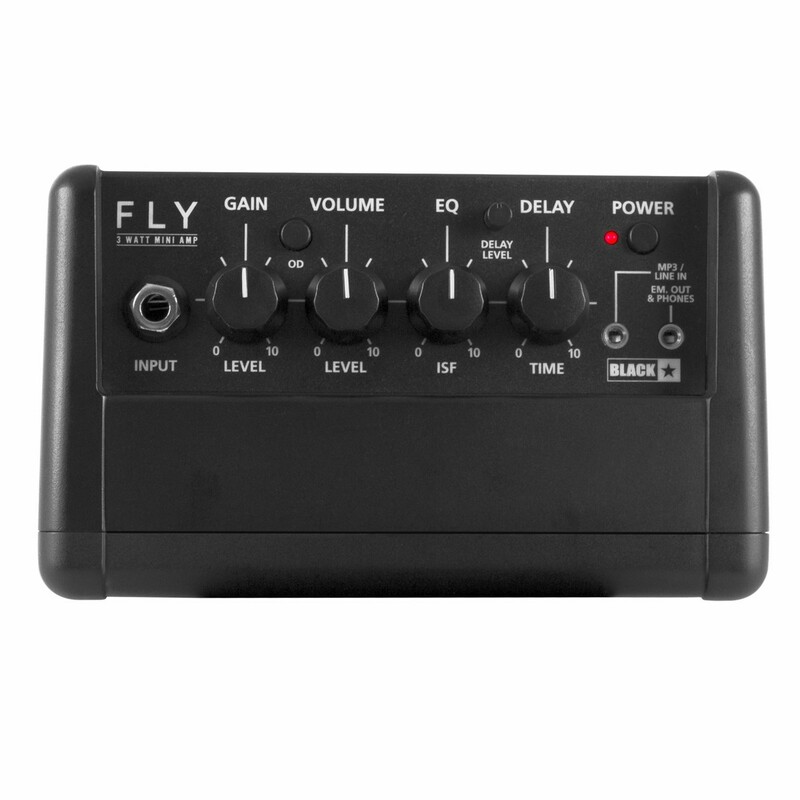 The Fly 3 also features tape delay effects that make your amp output resonate during play. The MP3/Line In jack allows you to connect your MP3 player, mobile, laptop or tablet and play along with your favourite tunes. This battery or AC powered amp can be combined with the the Fly 103 cabinet to create a 6 watt guitar amp set-up that creates a stereo effect. The FLY 3 is a compact mini amp with big functionality and output - the simple yet comprehensive control set allows you to change the sound of your amp with controls for Gain, Equalisation via the Blackstar patented ISF, Delay Time and Delay Level. 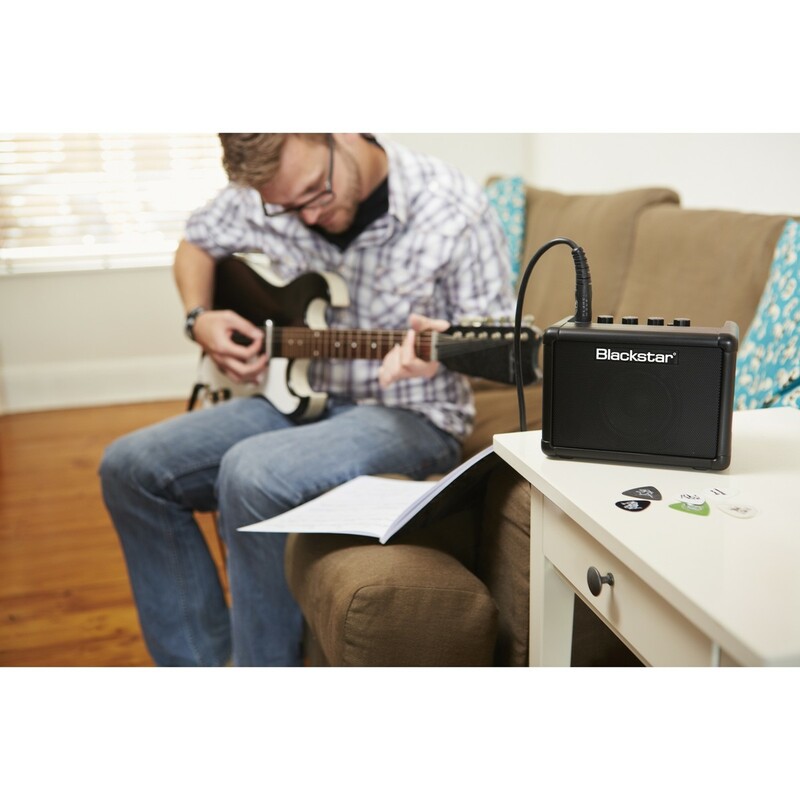 The battery powered Fly 3 is a great way to take your music with you wherever you go. The Fly 3 can be used with your devices as a portable speaker for your favourite tunes. When you plug in your phone / MP3 player you get a full-bodied sound that you expect from a top quality speaker. 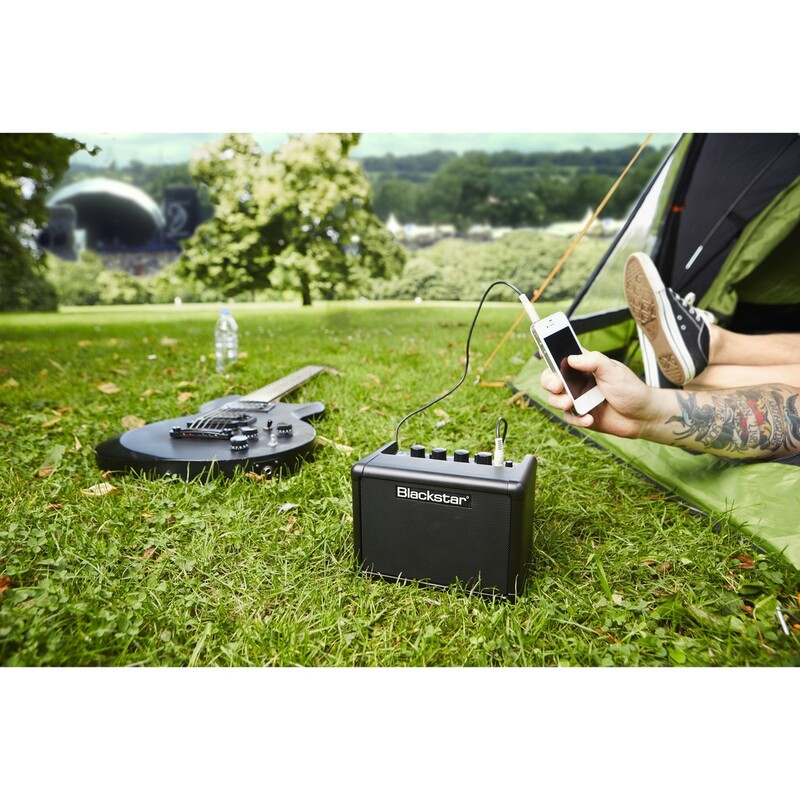 The Fly 3 has a competition beating battery life (when set at around half volume) meaning you can listen to your tunes or play your guitar for multiple hours on a single charge. 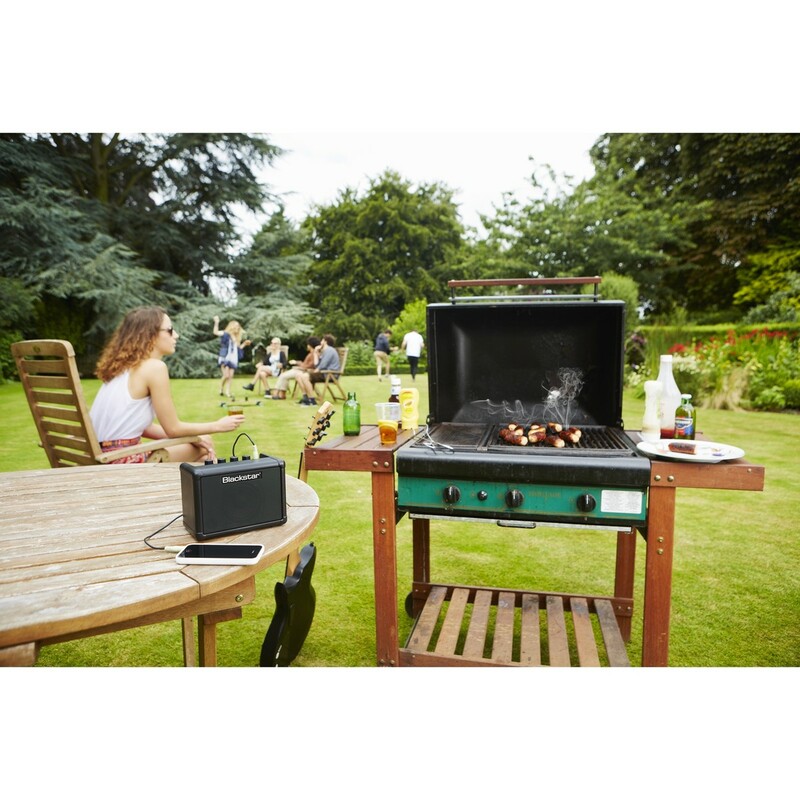 The Fly 103 is the official extension speaker for the Fly 3 compact mini amp. The Fly 103 comes with its own built-in cable to connect it to the Fly 3, making it a true stereo set-up. The extension cabinet is included in this pack and provides a power supply to power both units. 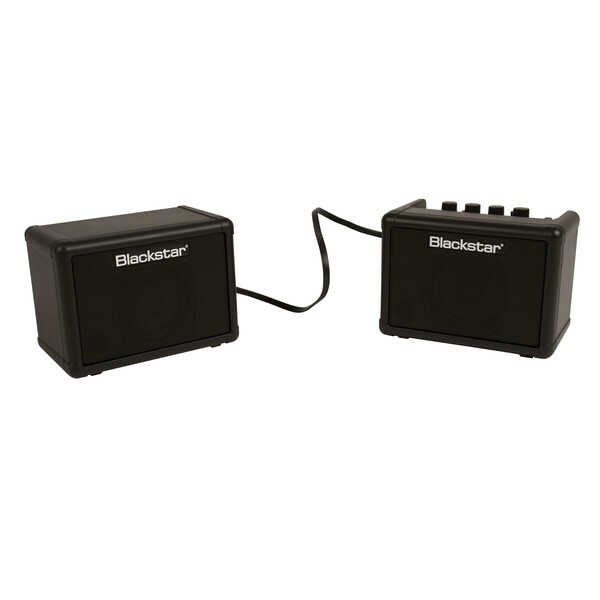 When connected to the FLY 103 cabinet, you can use the Fly 3 to create a stereo speaker system - perfect for use as a guitar amp, to listen to music on or as computer speakers and any other device capable of being connected via the Fly 3's MP3 / LINE IN jack. The housing on the Fly 3 is sealed and tuned to ensure optimum tonal response and the material used has been mathematically modeled to have the Young modulus of wood. This retains the bass response usually associated with a wooden cabinet. The use of a full range driver has the benefit of removing the requirement for a crossover and the negative sonic impact that crossover can have on guitar tones. 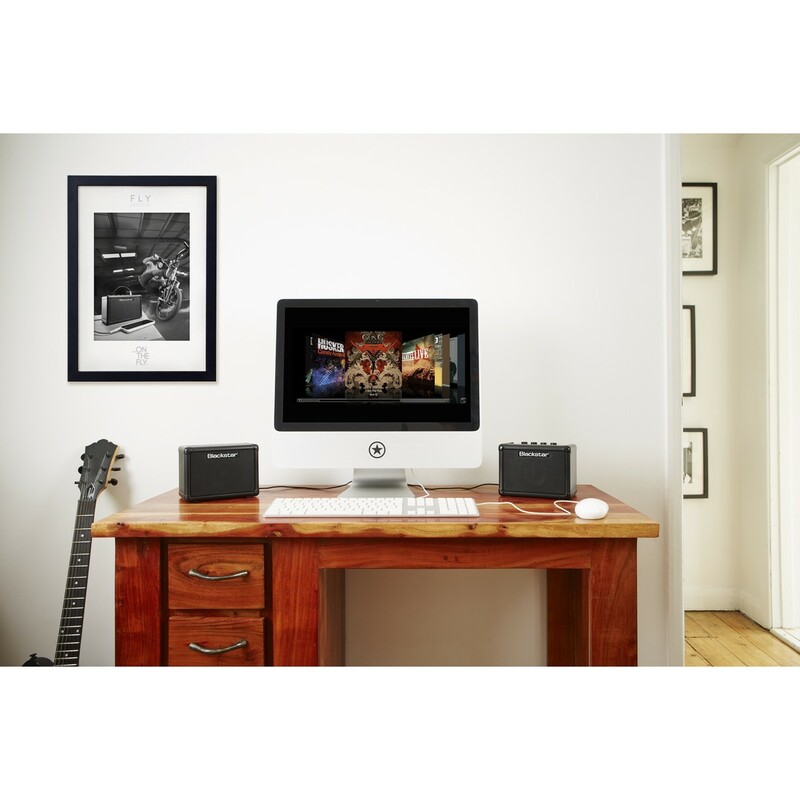 PC monitors usually have a sub-woofer which can muddle up the guitar tone, while near-field monitor have a crossover in the 2 3kHz region which is where the key part of a guitar's overdrive tone occurs.